Federal authorities arrested five people yesterday who were involved in a scheme to allegedly defraud insurance companies by stealing the victims identity to receive life insurance in their favor and, in some cases, even conspired to kill the insureds to collect the policies. According to U.S. District Attorney Rosa Emilia Rodríguez, those deaths are still under investigation. However, they understand that they have enough evidence to prosecute Luz M. Santiago Torres, Jimmy E. Santiago Burgos, Felix Rosa Rosa, Jose Rivera Esparra and Ulises Feliciano Caraballo with criminal charges for fraud. Specifically, a federal grand jury found evidence to prosecute the defendants on 10 counts of mail fraud, 11 counts of wire fraud, six counts of aggravated identity theft and seven counts for money laundering. The center of the conspiracy was a senior care center called Hogar Substituto Luz Santiago and Fernando Santiago, also known as Hogar Sueño Feliz, in Juana Díaz. The facility closed in 2011 after the Department of Family revoked the license after identifying deficiencies the care of the elderly. According to Rodríguez, state authorities found that there was "poor management and poor conditions." The defendants took a total 33 life insurance policies for 22 people whose identities had been stolen, in different ways. This was partly easier because three of the defendant and alleged conspirators (Rosa Rosa, Rivera Esparra and Feliciano Caraballo) were insurance agents. They collected a portion of the policy once the insured died. The persons insured through this fraudulent process did not know they had a policy issued in their favor. The vast majority were older adults under the care of Hogar Sueño Feliz employees. However, there were also policies in favor of people who were not related to the elderly care center, but who somehow had their personal data stolen. Triple S, Multinational, Occidental, Americo Financial, Universal, National, Great American and MetLife were among the companies victim of the fraud scheme. At least three of these companies said yesterday, in separate statements, that they are cooperating with the authorities and reviewing their processes to prevent similar cases of fraud. U.S. District Attorney Rodríguez said yesterday that this type of crime is not common in Puerto Rico. José Soto, vice president of legal affairs at Triple-S Vida, said that the company has been working with federal authorities to provide information on a scheme to issue fraudulent policies and to facilitate the investigation of these crimes. As part of this, they will evaluate measures to strengthen their processes. Two of the victims – Daniel Santiago Ramos and Reinaldo Santiago Torres – were shot dead in separate incidents reported on July 1, 2011 and August 28, 2012, respectively. Rodríguez said that so far, the victims were not engaged in gang wars or drug trafficking. She said those charged with fraud yesterday are suspects of these murders. "The information we have is that they were shot to collect the insurance," Rodríguez said at a conference in the US District Attorney´s Office in Hato Rey. The other two cases considered as violent deaths were brothers José A. Torres Cruz, 38, and Margarito Torres Cruz, 70 years old. They died on October 31, 2009 and June 2, 2018, respectively. Both were struck by a vehicle on the same road, less than 0.3 kilometers away from each other, very close to the home of Santiago Torres, the main suspect in the fraud scheme and who was arrested yesterday. When talking about the victims, Rodríguez said that it´s a very sad case, where these people died in the same place, under the same circumstances and that these deaths happened right in front of the main suspect. The head of the US District Attorney´s Office said that these two cases could be considered for the death penalty. Rodríguez also indicated that four other people died in the center from natural causes. However, she said that due to the poor services suffered provided, their deaths could have been accelerated by economic motivations. "The investigation continues," said Rodríguez. The total of the fraudulent insurance policies exceeded $ 5 million. Insurance companies paid $1.5 million. Federal prosecutor Seth Erbe said that out of a total of 22 victims of identity theft, 14 are still alive and eight died. Prosecutor Timothy Henwood is also working on the case. Personal information stolen by those charged with the crime included full name, Social Security number and date of birth of those illegally insured. Conspirators wrote their postal and physical addresses, emails and telephone numbers on the policies. This way, they controlled all communication with the insurance company. They also forged signatures that were sent to insurers. 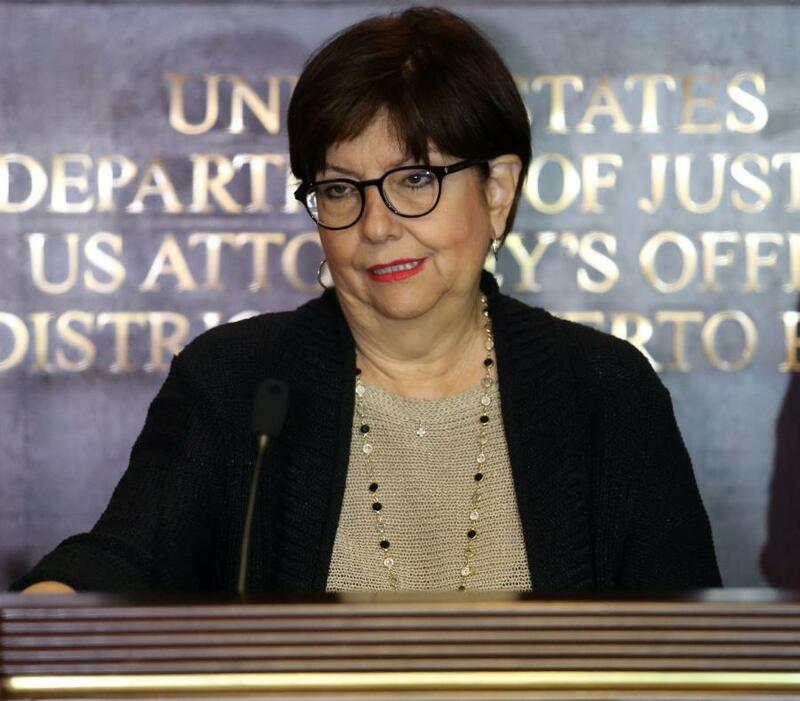 Rodríguez said that defendants Luz M. Santiago-Torres, Félix Rosa-Rosa, and José Rivera-Esparra were charged with aggravated identity theft of insureds’ names, social security numbers, and signatures. Santiago-Torres also faces seven counts of money laundering for making monetary transactions in excess of $10,000 with proceeds of the conspiracy and scheme to defraud, including the $30,000 purchase of a 2018 Jeep Wrangler Unlimited. All defendants face the forfeiture of the criminally derived proceeds, including $1,543,974.22. Puerto Rico Insurance Commissioner Javier Rivera Ríos explained that this case arises as part of a review process after at least three insurers detected irregularities and refused to pay the policies. On one occasion, the complaint to the Insurance Commissioner´s Office came from one of the conspirators. In the other cases, the process was part of the regular operation of insurance companies. These cases went through an analysis process in the agency and as they detected irregular patterns, they referred the findings to federal authorities. These policies involved insurance companies payments for a total of $ 86,000, as stated in the indictment. The Federal Bureau of Investigation (FBI), the Postal Inspection Service, the Social Security Administration and the Puerto Rico Police participated in the investigation of the case. If found guilty, the defendants face a maximum penalty of 20 years of imprisonment for each conspiracy, mail fraud, and wire fraud count as well as a maximum two-year term of imprisonment for each aggravated identity count, and a maximum 10 years of imprisonment for each money laundering count.